The DIM-50(NEG) is a reliable voltage dimmer for DC incandescent lamps up to 50 watts. This is the negative-side model. A positive-side model is also available. 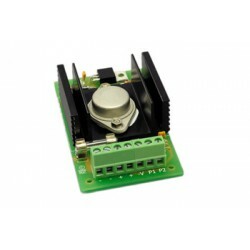 The DIM-50(POS) is a reliable voltage dimmer for DC incandescent lamps up to 50 watts. This is the positive-side model. A negative-side model is also available.